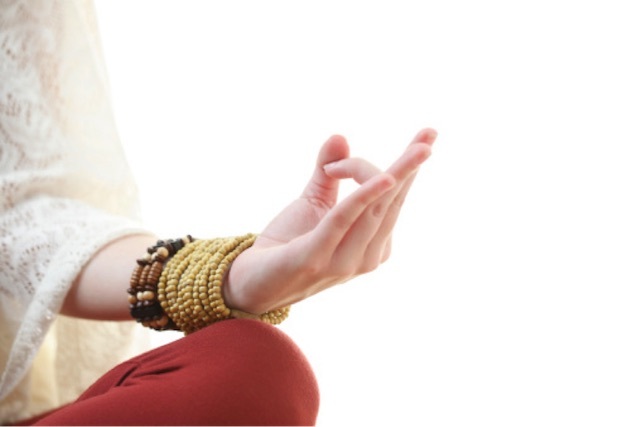 Transcendental Meditation: Where it Came from & Why we Love It. Over the past three decades, Transcendental Meditation has gone from being a meditation technique that was practiced (in the West, at least) by a relatively small section of society, to a serious consideration within the health industry. Celebrities such as Jerry Seinfeld, Martin Scorsese, Oprah Winfrey, Clint Eastwood and Russell Brand have, over the years, promoted the various virtues of Transcendental Meditation to an audience that may have otherwise missed out. Its introduction through mainstream media has helped people understand how it can benefit our addictions, insomnia, parenting, stress and anxiety reduction. The overall image of meditation has evolved over recent years and its wide spread application in our contemporary society has continued to increase. A short history of TM. TM is a branded version of the 5,000 year old technique of Vedic meditation that emanated from the Vedic civilisation of ancient north India. It was brought to the West and popularised by Maharishi Mahesh Yogi in the late 50s and early 60s. In the beginning, he called it by the expressive sanskrit name of Nishkam Karma Yoga. Later, in order to be more descriptive to the western audience, it became known as Transcendental Deep Meditation, and then, as everyone began shortening it, it simply became known as transcendental meditation, or TM. In 1958, he began a number of worldwide tours promoting and disseminating the technique. Transcendental meditation developed its European roots in the UK and started becoming particularly popular in the US in the late 60s, where close to 7,000 teachers were trained by 1978. The popularity of the technique was given a huge boost when the Maharishi became the spiritual advisor of many celebrities—most notably the Beatles. By the 80s the TM movement began to shed its identity as part of the hippie counterculture and finally entered into the US American cultural mainstream. The Maharishi’s theory of life was offered at universities such as Stanford University, Yale, the University of Colorado, the University of Wisconsin and Oregon State University as a way of developing the mind so that a person can rise above, or “transcend,” beyond the noise and stress of daily life. More and more people started getting involved in TM and it soon began to influence American multi-culturalism and religions. The interest for this new way of thinking resonated with the wider public and the TM movement was born. After the Maharishi started taking more of a back seat in the late 80s, the people who ran TM began to get more and more involved in politics and formed the Natural Law Party in 1992. Its goal was to use and promote the principles of meditation as a way of finding ways to solve the problems of society, such as crime, injustice, economics and environmental issues. TM in the West has been shaped to answer different needs and is now perceived as a cure for the stresses we all experience in modern life, as well as a means of spiritual expansion. TM is about awareness in the present moment. It is about highlighting your experiences independently of the surrounding environment, essentially by letting go rather than practicing self–observation, as mindfulness would do. Auto Self-transcending techniques such as TM and Vedic meditation allow us to answer our natural penchant for self affirmation, giving us the tools to learn how to optimally feel more content in the moment, in order to lead happier and healthier lives. Regardless of any external factors that may influence an individuals’ life, your own personal outlook in any given situation cannot be touched. Meditation offers us the opportunity to live a life free of stress and anxiety and to embrace all types of situations, ultimately enhancing an individual’s journey and their perception of the world, which allows us to move beyond negative thought patterns and tendencies and helping us overcoming all of our fears and negative emotions. TM as a psychological tool. Over the decades TM has become a full-fledged therapeutic treatment and earned its reputation as a complimentary or a natural treatment for anxiety and stress related disorders, in some instances providing a suitable alternative to drugs and medication. TM has started to attract serious scientific research, and for a good reason. In the mid-20th century, neuroscientists started conducting hundreds of studies to see what physiological changes occurred throughout the body when people meditate regularly. The overall positive findings added credibility to this once fringe technique, pushing transcendental meditation forward into the mainstream of health care as a method of stress, anxiety, insomnia and pain reduction. Ultimately there are many reasons explaining why meditation has become such a trending practice, but another rational explanations can be provided by simply looking at the world around us. New technologies have become part of our everyday lives and our human nature is to constantly move forward, evolving into an always more sophisticated world that while understandable, can put unbelievable strain on our nervous system. Emails, social media, deadlines, mortgages, pensions can eventually make us feel overwhelmed, under pressure and constantly in demand. TM as a technique comes at a time when many people were looking for a solution to stress. A way to finally settle inward, access quieter levels of thought, and eventually experience the most silent and peaceful level of our own awareness: pure consciousness. I learned Transcendental Meditation over 40 years ago, when I was 19. I had read about self actualisation and experiences of altered states of consciousness. I thoroughly enjoyed the practical benefits of the TM technique: greater relaxation, energy and zest for life. However, what riveted my intellect and ultimately led me to train as a teacher was Maharishi Mahesh Yogi’s profound understanding of development of consciousness. He clearly delineated the states of consciousness that can be experienced beyond waking, dreaming and sleeping. He also provided techniques to refine both individual and collective consciousness so that large numbers of people can experience these more fulfilling states. Actually one of the strengths of Transcendental Meditation is rigorous teacher training and ongoing development of the TM teacher corps. Maharishi Mahesh Yogi developed a system for training that answers every question that students might have. In my 40 years of teaching, I have found this knowledge remarkably useful and complete. Today we teach Buddhist monks in monasteries in Asia TM; they are so grateful to have an effortless practice that supports their growth. Quite often we teach people who have been using another practice, and they are gratified with the innocence and effectiveness of TM (in comparison). Before he passed in 2008, Maharishi also developed an extensive enlightenment courses for his teachers and leaders. It is still possible for Mary to ask a TM teacher for support (because the program offers a life-time support program). I found TM(tm)very limited. Started at age 13 and very quickly started having ‘phenomena’ (nyams in tibetan) which my instructor couldnt understand, recognise or give me any decent instruction upon or commentary. Meditation instruction from Tibetan Buddhisim or other Buddhist traditions is much better as the lamas etc know what the territory is. Most TM(tm) instructors dont have the depth of experience. Marie Boucaut is a mindful seeker of inspiration and adventure. Born and raised in France until eighteen, she then left home to go study abroad. 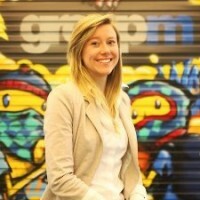 From Scotland to Australia, she spent three year building up a well rounded knowledge of international business and discovered new cultures. In 2013, craving for new discovery, she travel through Asia for half a year and led herself volunteering in wonderful India where she taught english to deprived kids. She came out of this life experience empowered and willing to make a difference. She now works for Sussex Meditation, helping individuals to lead the happiest, healthiest life they can by providing classes and courses forMeditation in Brighton, London and Geneva.